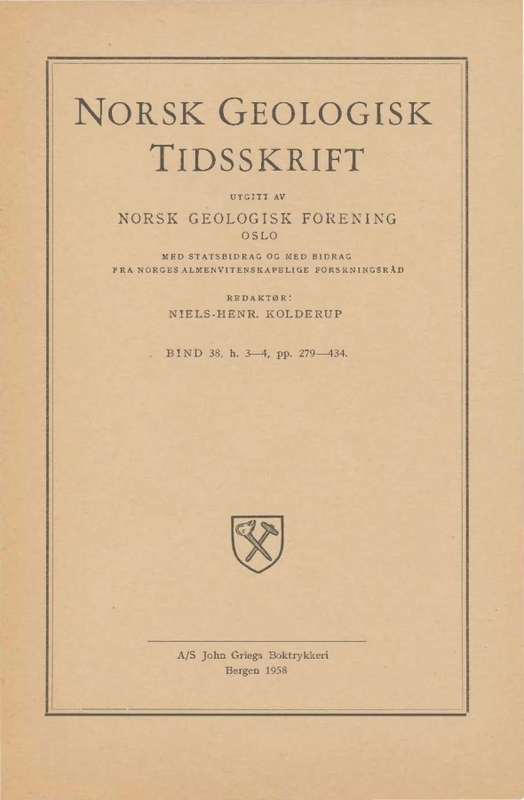 Geological and petrological investigations in Northern Trøndelag, Western Norway. Recent geological investigations in northern Trøndelag, western Norway, prove the existence of two distinct tectonic units: (1) a basal rock system (termed the basement complex) which is part of a pre-Cambrian mountain chain, and (2) an overlying system of folded and metamorphosed early Paleozoic supracrustal rocks with intrusives. The first section of the present paper deals with the rocks of the basement complex. A supracrustal rock system, comprising regionally metamorphosed geosynclinal sediments and basic volcanics, is described. These rocks have been intruded by small bodies of basic and ultrabasic composition. In the later orogenic phase, the supracrustal rock system, after having been intensely folded and metamorphosed, was invaded by huge quant ities of granitic magmas. The second section of the paper deals with the early Paleozoic rock system. The Paleozoic rocks include more or less metamorphosed Cambro-Ordovician geosynclinal sediments and effusives, which have been intruded by ultrabasic, basic, and acid magmatic masses. During the Caledonian orogeny, the geosyncline was squeezed together in to deep folds, which trend broadly NNE-SSW. In the third section of the paper, the relation of the basement complex to the Caledonian zone of deformation is discussed. The results of both field and laboratory work confirm the old conception of this complex as representing the deformed but otherwise unaltered pre-Cambrian basement upon which the Cambro-Ordovician supracrustal rocks originally accumulated.